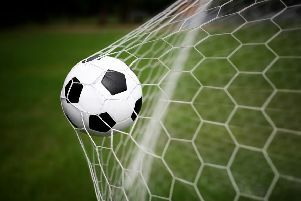 Haywards Heath Town fell to their second 1-0 home defeat of the season as Hythe Town snatched all three points deep into second half injury time. The first half saw Heath cope well with the visitors pressure where chances were at a premium for both sides. The second half saw the game open up with Heath having much more of the play, Callum Saunders made a return to the action after Lewis Finney picked up a knock, Nathan Cooper went closest again in the econd half as a well hit shot needed Hythe keeper George Kamusari at full stretch to tip the ball onto the bar. Hythe continued to try from distance but the efforts lacked the precision required. Afterwards manager Shaun Saunders said: "I'm frustrated today I thought we were extremely worthy of a hard fought point today, I can't understand why they were awarded a freekick when it was our player flattened and I don't understand where all the extra minutes came from past the three indicated but that is football and we will continue to learn and better ourselves. "The players need to have that extra belief in themselves and desire on the pitch and myself and the coaching staff will be helping the players along every step"